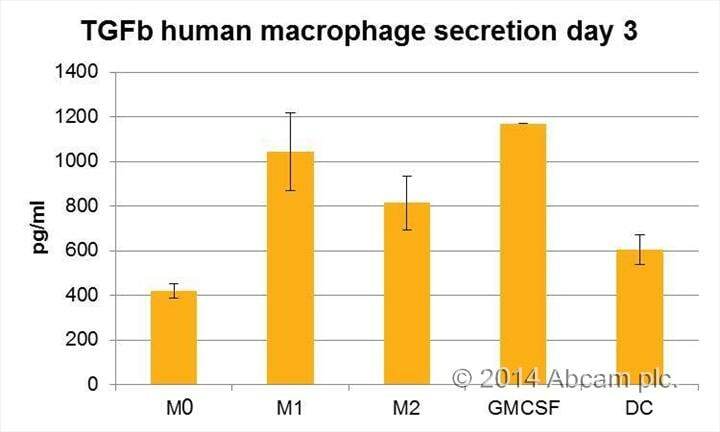 TGFb human macrophage & DC secretion in culture for 3, isolated by negative selection. The assay is easy to use and takes about 5.30hr. Good specificity as shown by TGFb secretion by different macrophages subtyes & DC. M0 = MCSF M1 = MCSF+IFNg M2 = MCSF+IL4 DC = GMCSF+IL4.